New Delhi, April 17: The Election Commission of India (ECI) has made it clear that NaMo TV, a channel dedicated to Prime Minister Narendra Modi, will have to follow the 48-hour long 'silence period' rule during the ongoing Lok Sabha elections. The two-day 'silence period' begins once the election campaigning ends 48 hours before the polling. The two-day 'silence period' for the second phase of voting on April 18 started Tuesday evening. The ECI wrote to Delhi's Chief Electoral Officer to execute its instructions, stating that all expenditure incurred on programmes and advertisements on NaMo TV should be identified appropriately and attributed to candidates or political parties, The Indian Express reported. The Delhi CEO has directed the Bharatiya Janata Party (BJP) to comply with Section 126 (i) (b) of the Representation of the People Act, 1951. NaMo TV is Ad Platform Launched by DTH Service Providers: I&B Ministry to EC. Section 126 (i) (b) of the RP Act prohibits the display of any "election matter by means of cinematograph, television or other similar apparatus" during the 'silence period'. 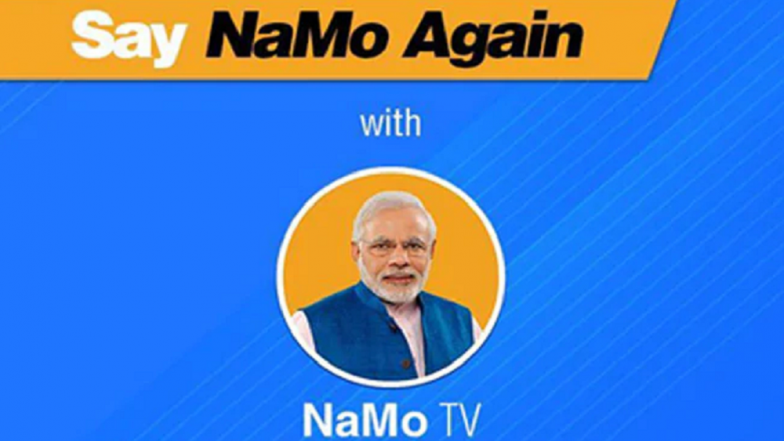 On April 11, the poll panel barred NaMo TV from airing political content without certification. The ECI's directions came a day after the BJP admitted that the NaMo App, of which NaMo TV is a part, was run by its IT cell. NaMo TV Controversy: Tata Sky CEO Says Channel 'Not a Hindi News Service', DTH Provider Claims Otherwise on Twitter. Earlier, the EC had asked Delhi's CEO to confirm if the TV channel had sought its permission to air its programmes and had got it pre-certified. It noted that the Delhi CEO had confirmed there had been no pre-certification of the content. The Delhi CEO has now set up a dedicated team to monitor the channel’s content. The ECI had earlier stopped the release of Modi's biopic till the Lok Sabha elections conclude. "Any biopic in the nature of biography or hagiography sub-serving the purposes of any political entity or any individual entity connected to it or which has the potential to disturb the level playing field during the elections should not be displayed in electronic media, including cinematograph during the operation of MCC (model code of conduct)," the EC said in its order.